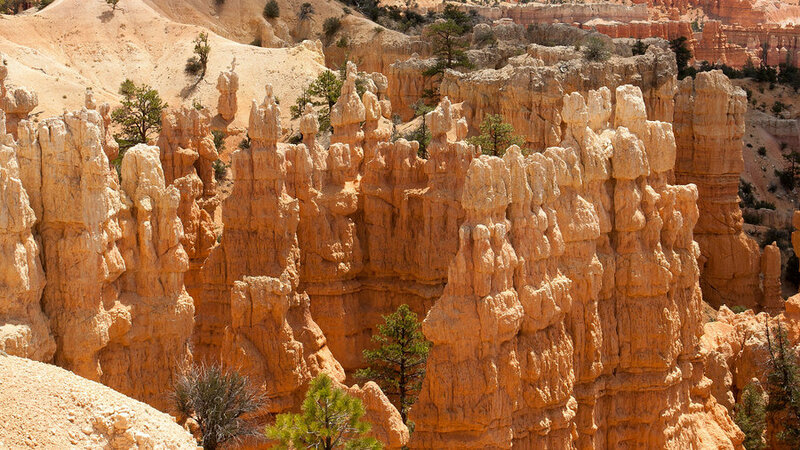 Bryce Canyon has more hoodoos than anywhere else in the world. The hoodoos formed (and continue to form) because the four different rock types exposed here—limestone, siltstone, dolomite and mudstone—each erode at a different rate. Dolomite, limestone and siltstone are the hardest and usually form the protective caprock on most features. 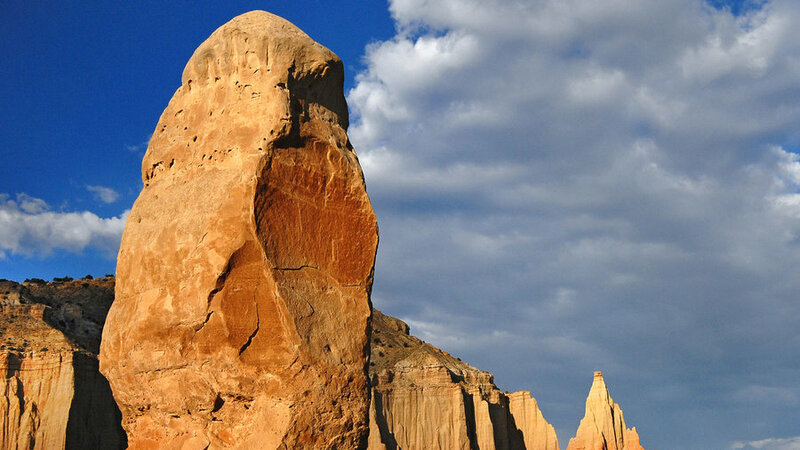 Mudstone, the softest rock, forms the narrowest portion of any spire or pinnacle. Sunrise Point provides a wonderful overlook of the jagged spires of Fairyland Canyon. Pink, purple, orange, red, yellow and white—the park’s most vibrant colors are seen from Sunset Point. Visit this spot at sunset to see the colorful limestone formations below, including Thor’s Hammer and Silent City, at their most spectacular—they truly glow. 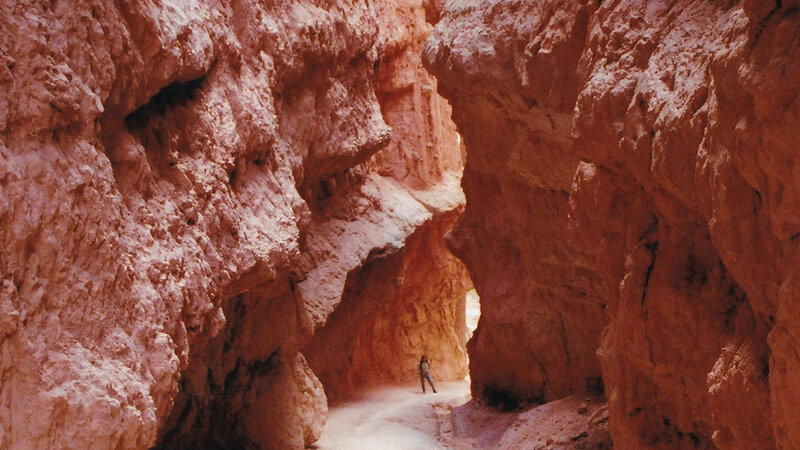 A one-mile, paved trail links Sunrise and Sunset points, and follows the rim of the Bryce Amphitheater. Along its path, there are numerous benches where you can stop and soak up vistas of the hoodoos below. Along the rim itself, limber pine trees, their roots often exposed, show how the land here continues to erode. The roots of these trees, some of them hundreds of years old, used to be below ground. 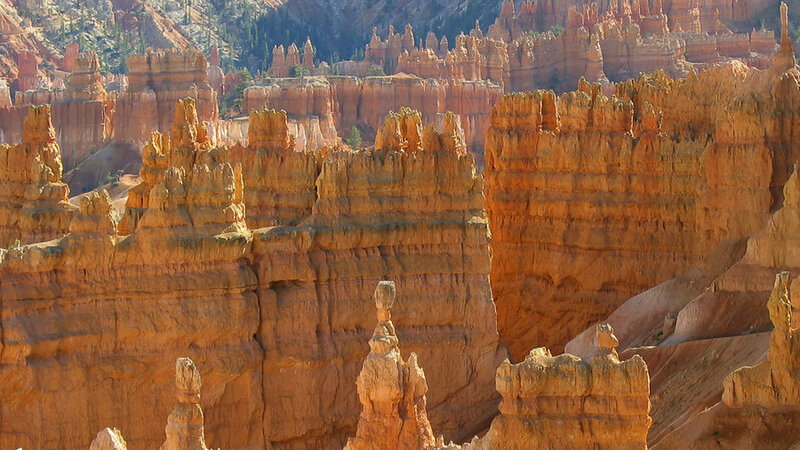 Scientists estimate the rim of Bryce is eroding at a rate of two to four feet every century. China Wall, off the eight-mile Fairyland Loop hiking trail, is one of the best examples in the park of the evolution of walls into fins, windows and hoodoos. Looking at the wall, its outermost section is mostly hoodoos because that is the area that has been exposed to erosion the longest. As the wall nears the canyon rim, you’ll see more fins and windows. Closest to the canyon rim, the windows will be smallest. Many national parks have “Inspiration Points.” Bryce Canyon’s is the first we’ve experienced that truly lives up to that name. If you’re only going to visit one viewpoint, make it this one, where the vibrant oranges and red of the hoodoos contrast with the green of the pine forest on the canyon floor a couple of thousand feet below. The Navajo Garden Loop is only 1.3 miles, but don’t think that makes it easy. The quantity and quality of the 400 vertical feet of switchbacks at either end are a marvel unto themselves. Snap a photo of this section of trail, then turn your attention to the Thor’s Hammer feature and the mudstone walls of the narrow canyon. Take your time walking through the park’s only slot canyon, Wall Street. 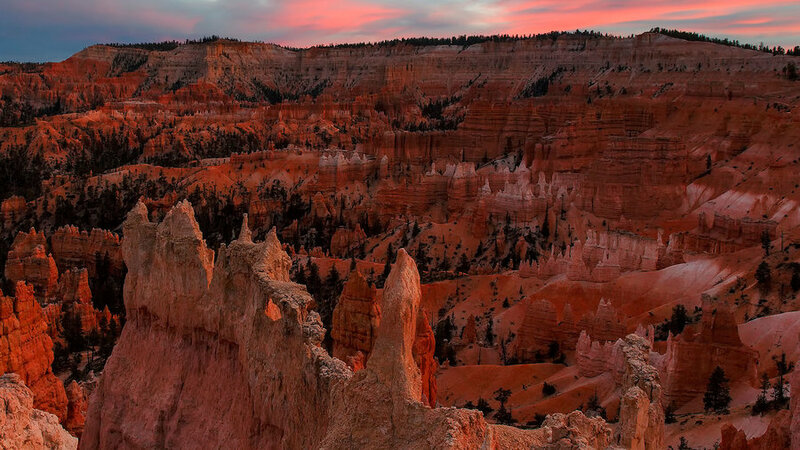 Bryce Canyon is known for having some of the best visibility in the country—on a clear day you can see Navajo Mountain, 80 miles south; on a really clear day, you can see Humphrey’s Peak, 150 miles away and on the far side of the Grand Canyon—and that’s true at night too. The park has “Astronomy Rangers” that share the park’s unparalleled night sky through . 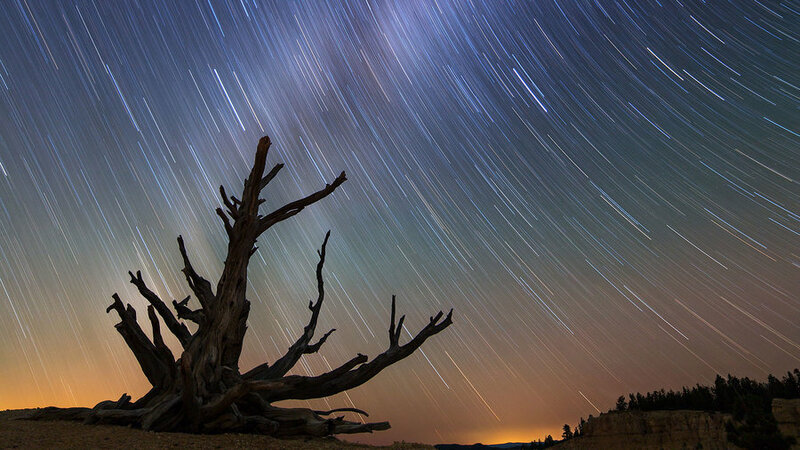 On a moonless night, you can see 7,500 stars above Bryce, as well as the Milky Way. 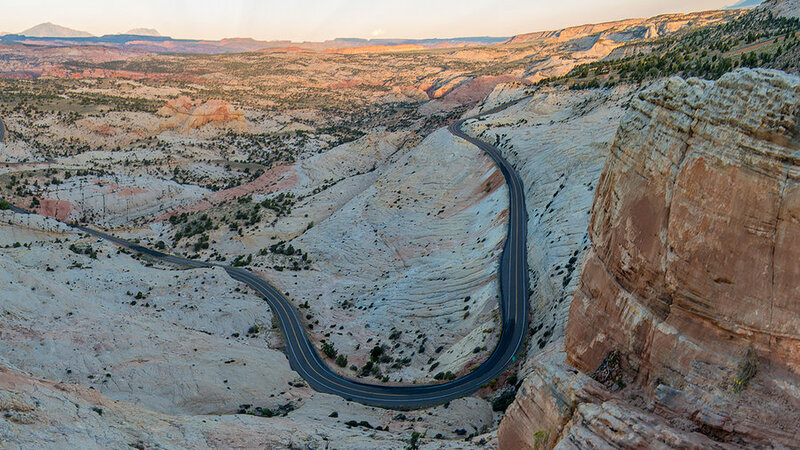 Over its 122-miles, Utah Highway 12 crosses part of Dixie National Forest, Bryce Canyon National Park and Grand Staircase-Escalante National Monument and ends five miles west of Capitol Reef National Park. It’s no surprise the highway is designated a Scenic Byway. The Scenic Byways that have features that do not exist elsewhere in the U.S. get an additional designation, All-American Road. Only several dozen of these exist across the country. Utah Highway 12 is the state’s sole All-American Road. In any other state, this would be a national park, not a state park. Off Highway 12 and named by National Geographic photographers in 1949, most distinctive feature are sandstone pipes—large columns of sedimentary rock exploding from the basin floor. Nearly seventy of them have been counted. 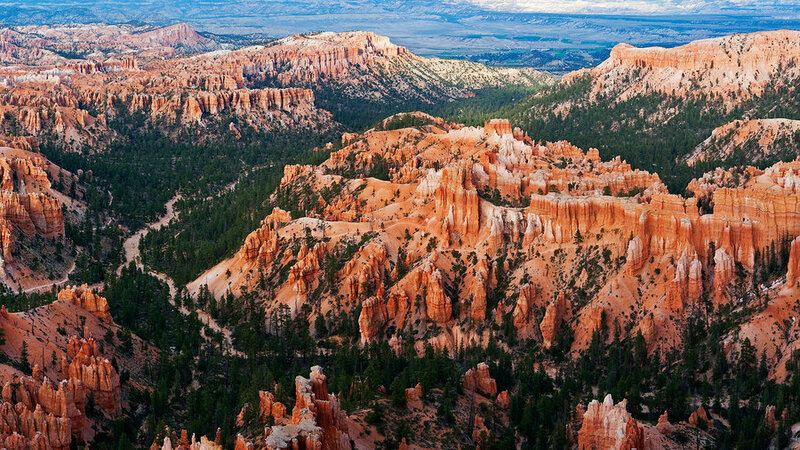 The and hiking trails here are much less crowded than those at nearby Bryce Canyon. 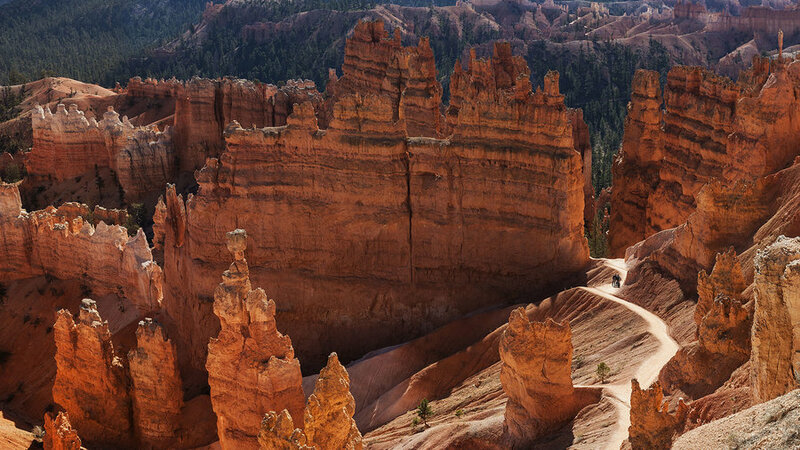 Best Activities in Bryce Canyon N.P.